This book presents a Western version of the Vedanta philosophy of Hinduism. I found this book to be quite fascinating, and mind opening. The author challenges the reader to question everything they believe. Through different passages, he for instances explains how existence is merely an illusion. I found the book to be very deep, inspiring, and leaving me thinking. If you are one who likes to contemplate the meaning of life, if you enjoy philosophical discussions, or just like to be challenged in your thinking, then you should definitely check out The Book. While it’s been 47 years since it was published, it still has a lot of value to teach us in how to look at the world differently. 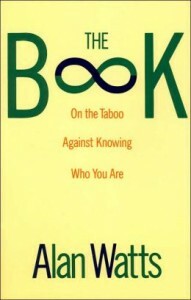 Alan Watts, born in Britain in 1915 became an author, philosopher, and speaker on subjects such as Buddhism and Vedanta. He died in 1973. *Disclaimer* A special thanks goes out to at for a review copy of this book. It in no way influenced my review. You can discuss it here or join my facebook page and discuss it there. 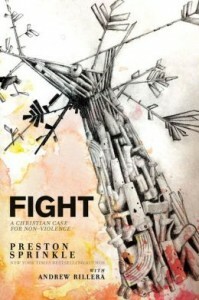 An Evangelical Christian looks at Violence from a Christian perspective and according to biblical scripture. While I don’t typically follow the Evangelical model of religion, a dear friend purchased a copy of this book for me, so I decided to read it. I found myself agreeing with the author on almost every issue he brought up. He begins with the Old testament and follows through co erring topics such as whether Hitler should have been killed, whether or not it’s right to join the military, and mostly about the American Christian view of militarism. I found the book very informative, and wasn’t able to put it down. While I may disagree with Mr. Sprinkle on the political level, on this level I find myself in complete agreement with him. Regardless of which side of the Christian spectrum you fall on, you should read this book. I think you would find it very eye opening and informative and it may cause you to think about some of your own beliefs. I highly recommend it. I’d rate it PG-13 for biblical violence. I’m married to a beautiful wife and we have four kids (3 girls and a boy). I’ve been teaching college level Bible and Theology classes for a few years now (since 2007), and currently teach Old Testament and Bible Backgrounds at Eternity Bible College in Simi Valley, CA. I enjoy hanging out with my family, running, surfing, and life in SoCal. Before I became a teacher, I was in school. Lots and lots of school. I did a B.A. and M.Div here in SoCal, and then did a Ph.D. in Scotland in NT studies. Before coming to EBC, I taught at Nottingham University for a semester, and Cedarville University for a couple of years. Along with surfing, I also love to research and write, and I’ve written a few things on Paul, Early Judaism, Hell, Violence, and Grace. You can discuss this book here or join my facebook page and discuss it there. Neveah – Leader of a group of immortals known as The Tribe. Jagger Baird – An Immortal. Beth Baird – Jagger’s Mortal Wife. Bale – Leader of the Immortal group, The Clan. A follow up to the 13th Tribe finds Jagger Baird once again engaged in a battle against immortals wanting to destroy the planet. This time, Jagger is faced not only with the Tribe, but with a new group known as The Clan. The Tribe, led by Neveah is out to capture Beth and discover what she’d said to one of their members that allowed him to die. The Clan has their own goals that Jagger must discover. A great followup to The 13th Tribe. Double the immortal action this time around as Jagger is attacked by 2 sides. This novel introduces a new group known as The Clan that is even darker than the Tribe was. While Jagger is faced with the danger presented by The Clan, his wife and son are faced with the danger of The Tribe, led by Neveah. There are twists, turns, and betrayals in a battle between good and evil. The one drawback I had with this novel, unlike the previous one was the preachiness. The first novel while Christian based fiction, didn’t get preachy. It was just a good thriller novel. This one didn’t seem to follow that mold, and at times just seemed to be a bit over the top. However, that aside, I’d recommend it to general audiences over 13. If Christian based literature though isn’t your thing, you may not enjoy it. I found it enjoyable just as a thriller and for that I’d recommend it. If you read it, be sure and stop back by to let us know what you thought. 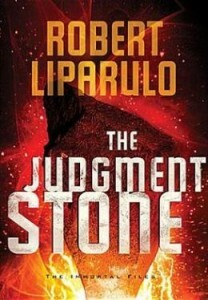 Best-selling novelist Robert Liparulo is a former journalist, with over a thousand articles and multiple writing awards to his name. His first two critically acclaimed thrillers—Comes a Horseman and Germ—were optioned by Hollywood producers. Bestselling author Michael Palmer calls Deadfall, released in November, 2007, “a brilliantly crafted thriller.” Liparulo’s young adult series, Dreamhouse Kings, debuted in May 2008, with House of Dark Shadows and Watcher in the Woods. He is currently working with director Andrew Davis (The Fugitive, The Guardian) on the novel and screenplay of a political thriller. New York Times best-selling author Steve Berry calls Liparulo’s writing “Inventive, suspenseful, and highly entertaining . . . Robert Liparulo is a storyteller, pure and simple.” Liparulo lives in Colorado with his family. *Disclaimer* A special thanks goes out Booksneeze at Thomas Nelson for a review copy of this book. It in no way influenced my review. You can discuss it here or join my facebook page and discuss it there. 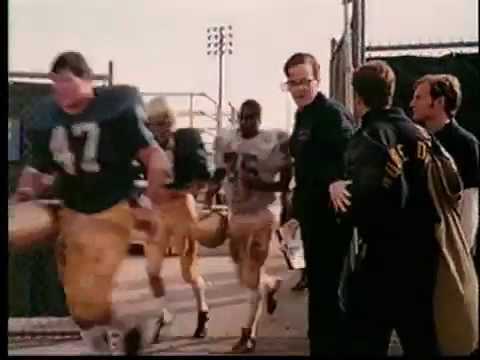 Anyone who has ever seen the movie Rudy can remember the feelings they had watching Rudy, played beautifully by Sean Astin as he struggled first to become a student at Notre Dame, and finally to not only be part of the team, but actually play in one game. 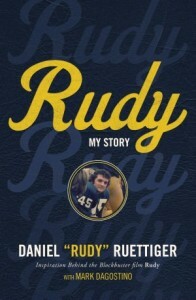 This is a memoir of that story, written by Rudy himself, Daniel Reuttiger. He details his life, the struggle it took to make the movie, and how others can tap into those motivations within himself. Much of the novel played out more like an extended director’s cut of the movie, but the reader got to find out a lot more about Rudy’s life, and what drove him. I’ll admit there were a few times where my eyes grew misty in seeing him become triumphant over many obstacles including a learning disability. Outside the retelling of the “Rudy” story though is the fascinating story of making the movie. It turned out to be almost as large a struggle as it was to get to Notre Dame. If you love the movie as I do, you would really enjoy this behind the scenes aspect. For those who love the underdog story, loved the movie Rudy, or even sports fans, you should grab this book. You’ll find it moving, motivational, and one you’ll remember long after you’ve turned that final page. *Disclaimer* A special thanks goes out to Thomas Nelson at Booksneeze for a review copy of this book. It in no way influenced my review. You can discuss it here or join my facebook page and discuss it there. In the early 1900s, Word reached Aurel Stein about a hidden library in a cave. This library contained thousands of manuscripts and scrolls of ancient Chinese and Buddhist writings. 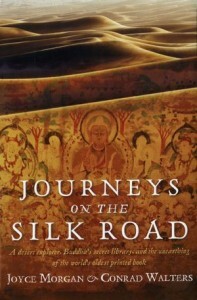 He set out on a journey that led him along the Silk Road to discover these lost secrets. One of these secrets would surprise not only himself, but the world. This was an extremely fascinating look at the field of Archaeology. You get to follow the journey not only from the beginning, whispered rumors of great treasures, but you get to follow them afterwards to the museums and further. Along the way, the reader experiences through the text what the work is like, the sacrifices made, and most of all, that it ain’t Indiana Jones. While the material sounds like it would be rather dry,, the author manages to write in an entertaining style. History unfolds, and the learning experience is outstanding. I learned more than I ever knew about Chinese, Indian, and Buddhist Culture. I also was able to see what happened to these treasures during WW2 and the measures taken by the governments to protect them. You also get to see some of the maneuvering/arm twisting that will go on to obtain these ancient treasures. If you are interested in books, history, or the field of Archaelogy, then by all means pick up this book. I think you’d find it a fascinating journey as did I. I’d say the book is suitable for all ages, though young readers might not find it interesting, unless they really love the topic. There was really no objectional language, though there were instances of Animals dying due to weather conditions. Joyce Morgan has worked as a journalist for more than three decades in London, Sydney and Hong Kong. Her writing has appeared in The Sydney Morning Herald, The Australian, The Guardian and The Bangkok Post. She has written on arts and culture since 1994. Joyce is a senior arts writer at The Sydney Morning Herald and a former arts editor of the paper. She has also worked as a producer with ABC Radio. Born in Liverpool, England, she has travelled extensively in Asia, including India, Pakistan, China and Tibet. Conrad Walters has worked in the media for more than thirty years in the United States, where he won awards for investigative journalism, and in Australia, where he is a feature writer and book reviewer at The Sydney Morning Herald. Conrad was born in Boston, educated in Europe and the Middle East and has lived in seven countries. He has travelled widely through North America, Europe and Asia. He has a master’s degree in Creative Writing from the University of Technology, Sydney. *Disclaimer* A special thanks goes out to Leyane at FSB Associates for a review copy of this book. It in no way influenced my review. You can discuss it here or join my facebook page and discuss it there. Orem – A man convinced he has visions of the devil’s plans. Fritz Mueller – A disturbed young german man. Hugh Jackson – A man who has turned from his religion. Harvey Katz – A sinful Lawyer. Susan Katz – His zealous wife and daughter to Orem. Katie Katz – A young girl who finds herself pregnant. Nostalgic for the Inquisition and plague, Satan feels neglected by the modern world that no longer cares about heresy or blames him for disease and death. He plans to create a new genesis, a place where people will love him. For that, his son needs just the right soul. 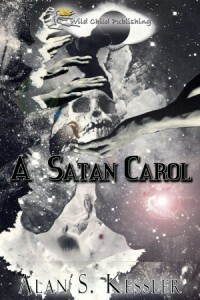 A Satan Carol is a horror story with a message for those who want to understand God’s apparent absence as the intersection of freewill and choice. It is a story with religious themes written for a secular reader. It is, in the end, a tale about family values even if they originate in hell. I’m really not sure what to think about this book. I think the characters were well drawn out and it definitely kept my interest in reading it. It’s presented as a spiritual horror story for secular readers. I think it gives a reader a lot to think about in terms of free will, choice, etc. At the same time, it also seems to present a metaphorical look at the destruction we’re doing to our planet. The wasting of our resources, etc. and how that’s tied into the devil’s plans. We’re introduced too each character, in his own story, and we get to see what methods Mr. Green used to seduce each person into doing his bidding. The story is dark, and definitely doesn’t seem fit for young readers, but I would say older teens/adults may find a message within it. For me, I’m not sure I know what that message is. I may have to revisit it at some point now that I’ve seen the whole picture he’s painted. 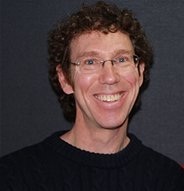 Alan Kessler lives in New England with his wife, four children and dog, Buckeye. There’s a gravestone in his backyard, but he tries not to go near it. This is his debut novel. *Disclaimer* A special thanks goes out to Alan Kessler for a review copy of this book. It in no way influenced my review. You can discuss it here or join my facebook page and discuss it there. This is a very difficult book to review. You can’t describe the character, or the plot, or whether the advice given was helpful. 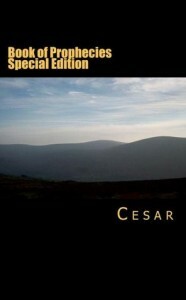 The book consists of prophecies and dreams of Cesar. It’s written in a poetic verse type style. The verses are rather cryptic, and it’s difficult for the average person to read them I’d think and say I know what that means. That though is the interesting aspect of the book, to read them, and then when events happen, go back and re-read. Also, it’s rather fun to try to figure out, like solving a puzzle, exactly what is meant in certain verses. While not for the average person, for those interested in prophecies, the works of Nostradamus, and similar type books I think would find this very interested. For those people I’d recommend it. Cesar has a very experienced background in the spiritual world. He was brought up in a Christian family, but branched out from that base as he got older, seeking answers about the world around him, and the spiritual world around him. In his mid-twenties dramatic events occurred in his life which challenged his very existence, but he learned from these experienced and most of learned that how that life is not just in our own hands. Now Cesar is a firm believer that everyone has their own path to walk in life, and part of that walk is all about the choices that you make. Some people choose a good life and some a wicked life, but most of us live the life in the middle, influenced by the world around us and our own upbringing, Cesar understands that life is simply not black and white. *Disclaimer* A special thanks goes out to Brandi at BK Walker for a review copy of this book. It in no way influenced my review. You can discuss it here or join my facebook page and discuss it there. Today, Rhodes Review is proud to welcome to our pages, Cesar. Cesar is the author of Book of Prophecies. Welcome Cesar. Rhodes Review: What persuaded you to write the Book of Prophecies? Cesar: Well its a tough question because it is hard to explain, at the time I was working on other books, and I felt God just saying to me that I need to stop writing what I was, and to start a collection of prophecies to get them published. Rhodes Review: When you see these Prophecies are they physical images, mental images? Cesar: They are mental images, sort of like what people would describe as day-dreams. Although day-dreams are achieved by mere thinking, these images were achieved by not thinking. Rhodes Review: In the book you mentioned the Two who will follow, who are these two? Cesar: There will come a time where two individuals will cause chaos across the world, in my mind, they would either have ways of attracting audiences or they will be fluent with technology itself. They will be seen as being against the world and many people will try and stop them, maybe even try to destroy them. I wrote a note aimed to them because, at some point with a person such as this, they would need confirmation that they are not crazy. Rhodes Review: Can someone be trained to tap into their abilities, or is it a case of you have the ability or not? Cesar: Funnily enough I have asked myself the same question a hundred times. I don’t think that a person can be trained to do it, it is something that must seep through a persons mind body and soul, sure you can teach methods but you cannot teach a person to truly believe. But I do believe that the gift of prophecy can be given to anyone. Rhodes Review: What is your background? Cesar: I was brought up in a devout Christian family here in Ireland, but I have been walking on a somewhat different path for the last eight years, learning the ways of the world and experimenting with a lot of stuff too such as walking haunted graveyards and so on. But for the last two years I have almost lived as a hermit, I guess in quiet contemplation about my life. Rhodes Review: What are some events that you prophecied correctly? Rhodes Review: There were two predictions at the beginning of the book for what seemed to be the United States, can you expand on these? Cesar: Well basically those two prophecies are claiming a downfall in the economy of the United States, but also about wrong decisions being made by the politicians making it worse, seemingly pushing to gain International recognition of their strengths, only to fall flat on their faces later on. Rhodes Review: When did you realize you had this gift of prophecy? Cesar: I have known for a number of years that there was something strange about me, like foreseeing things in my personal life and with my friends and so on. But I thought that maybe I was just psychic or something like that, but I know now that its nothing like being a psychic. I had a lot of people offer to review my book before its publication, one of which was a psychic, and every time she went to read it on her computer, it would crash on her and eventually she refused to review it on the terms that it ‘was not meant for her eyes’. The source of prophecy differs to the sources used by psychics, in fact, they are in opposition in ways. Rhodes Review: I’ll be honest, I didn’t understand a lot of the book, much as I don’t understand a lot of what Nostradamus wrote, is there a way to learn how to read books and interpret books such as this? Cesar: I will admit that even I struggle to read what Nostradamus wrote! Well there are almost like a set of rules about using prophecy, as knowing and foretelling the future can actually change the present which in turn changes the future and if the future is changed, then the prophecy may never come true. This is why they are written as they are. But there is enough information given so that you can get the general idea, and I have given twin interpretations to try and help people to understand. People can, if they wish, purchase a dream book to interpret for themselves the meaning in the cryptic script section of each prophecy. I believe that Nostradamus is so hard to understand because the imagery he used is hundreds of years old, meaning that we cannot use modern dream interpretation methods on his work. Rhodes Review: Besides writing, what are some things you enjoy? Cesar: I enjoy reading, I love random road trips or any sort of travel, I enjoy meditation and I also dabble with art and music. Rhodes Review: What are some writers you enjoy reading? Cesar: At the moment I am reading the Game of Thrones series by George R R Martin and I am enjoying his style of writing, I’m on the fourth book. Rhodes Review: If you had any advice to offer myself or my readers, what would it be? 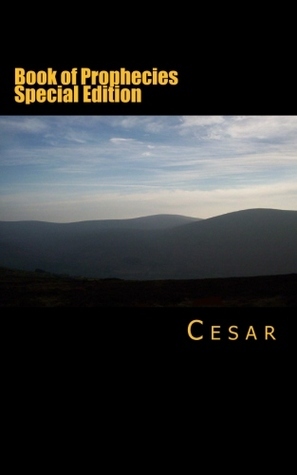 Cesar: To buy my book? Only joking. No, I would like to offer a little guidance and suggest to everyone to research their own spiritual beliefs as there are so many misguided people out there. Thank you again Cesar for joining us. 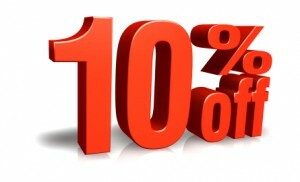 As this is the last stop in Cesar’s tour, he has offered the following coupon. The discount code is: 78CCCRH8. 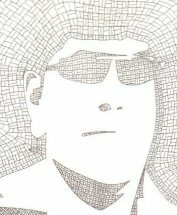 In addition, Cesar is sponsoring a giveaway through Goodreads in which you can win a copy of his book. You can enter the giveaway here. Also be sure to see our review of The Book of Prophecies here. I’ve loved other books by Brian D. McLaren. He’s always had a way of bring religious issues into an area where they made sense to me. On some levels, we have similar beliefs and values, and I think that’s why he’s appealed to me. 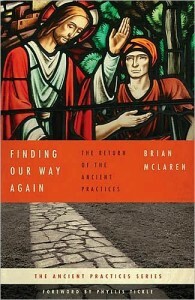 In this book, Mr. McLaren describes some of the old practices that have fallen out of use in Christianity. He goes into great detail on what these practices were, and how they are valuable. The practices are broken up into Contemplative, Communal, and Missional. 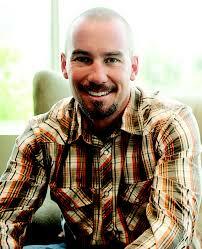 These practices he says are ways to become aware and stay awake to God. Contemplative practices are broken down into solitude, Spiritual reading, spiritual friendships, learning to be aware of God, prayer, journaling, and contemplation. Communal Practices are joining together with others in a community such as churches, volunteering, etc. Missional is going out to help others and minister to others. Mr. McLaren did do a good job from the Judeo-Christian standpoint of showing common areas in belief between Christians, Jews, and Muslim’s. At the end of each chapter, he also includes practices, etc. to help you develop those particular areas a little more. I think this book for someone already posessing a strong faith, would be help greatly in allowing them to focus more deeply on it. As the first book in a series called The Ancient Practices Series, it left me a little flat. But I think it’s because it was an introductory volume. I’d love to read the others in the series to see if they go deeper into his ideas. If you like different looks at spirituality, then I’d say you might find this book interesting. If you are looking for a training guide to show you how to tap into these practices, then you may want to look at one of the other books in the series. It’s not an awful book, I managed to learn a great deal, I just didn’t learn what I expected from it. *Disclaimer* A special thanks goes out to Booksneeze for a review copy of this book. It in no way influenced my review. You can discuss it here or join my facebook page and discuss it there.